Despite the advantages of older workers, many U.S. employers undervalue this segment of the population – and remain in denial about the need to engage these workers. The 2015 SHRM survey on the aging workforce found that U.S. employers are unprepared for the reality of their aging workforces. Only one-third of survey respondents said they had examined their policies and practices to address older workers, and 20 percent of survey respondents said they had examined their organizations and determined that no changes in policies were needed. Only half of survey respondents said they tracked the percentage of workers eligible to retire within the next one to two years, and only 17 percent of survey respondents said they had analyzed the impact of workers age 55 and older leaving their organizations in the next six to 10 years. About half of the survey respondents said they didn’t think the potential loss of talent would impact their organization or industry (SHRM staff, 2015). 15 percent had stepped up recruiting efforts to replace retiring employees (SHRM staff, 2015). Businesses today face a number of challenges to operate efficiently and maintain competitive advantage and it is often incumbent upon company leadership to provide the proper direction to help their teams navigate these challenges and adapt appropriately. 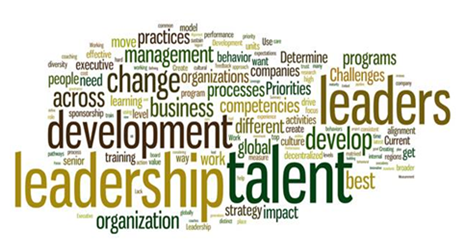 Without a steady pipeline of talented individuals with the knowledge, skills and experience to step into leadership roles, or an effective process to identify high-potential employees and give them the necessary training to be effective leaders, the company will be unprepared to handle the changes and challenges of the future. For over 60 years, UNC Executive Development has partnered with organizations to create customized executive development programs to answer their business challenges. As a part of UNC Kenan-Flagler Business School, UNC Executive Development brings the School's experience, reputation and noted faculty to these challenging and impactful programs. Download this brochure for a brief summary of UNC Executive Development's custom and open-enrollment executive education capabilities. We're always updating and adding new programs to our calendar. Click here to see what's currently scheduled. The following is a summary on a white paper Brigitta Theleman wrote. “Simply put, successful organizations have strong leaders,” says Brigitta Theleman, director for UNC’s OneMBA program. Organizations with strong leaders outperform other organizations in workforce retention, employee engagement, and organizational performance (including financial performance, customer satisfaction, service quality and productivity).